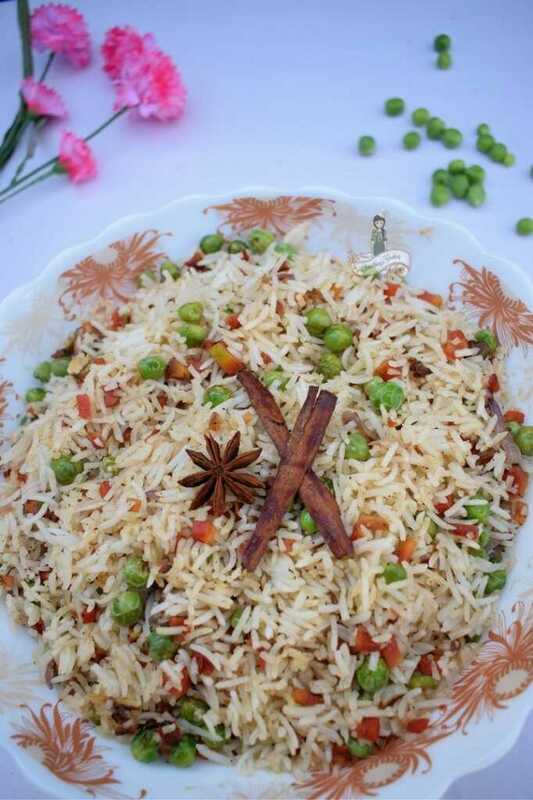 Carrot and Pea Pilaf is a delicious low-fat rice that helps you get a few veggies in your diet. Yup! Just like that! As I mentioned the other day, the only way Mom could make me eat my veggies was by making a veg fried rice. 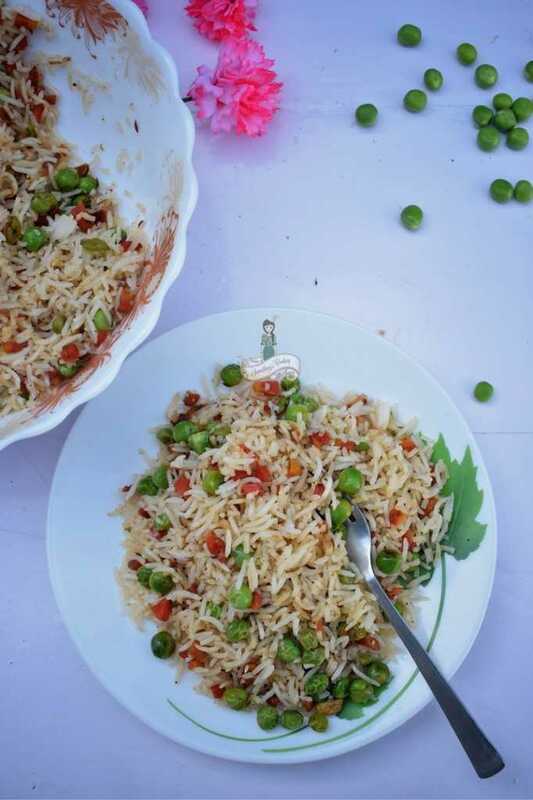 She had so many options available – sometimes by incorporating cabbage and Carrot, other times by making a mini version of veg Biriyani by adding cauliflower, Carrot, Peas, and potatoes. Yup. Carrot and Peas were two things which I had without any objection. 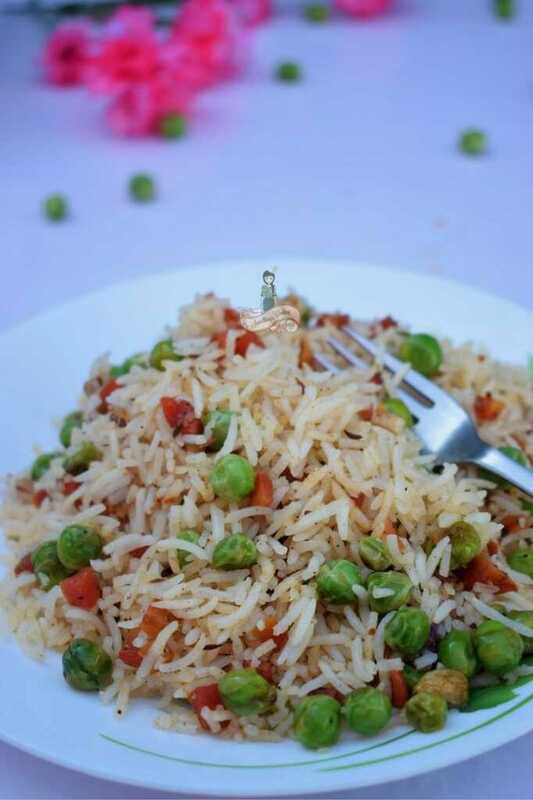 Carrot and Pea Pilaf is another easy to prepare dish. 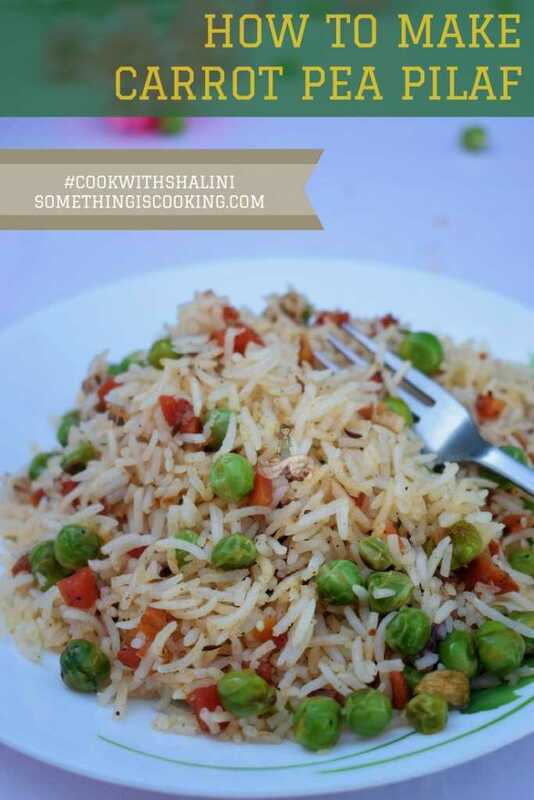 It is one of my go to recipes whenever I crave for a change from the regular Steamed rice. Of course, Jeera Rice is my saviour. But something hatke? Then this is the one. Fresh green Peas and carrots are available plentiful during winters and I’m trying different ways to include them in our diets. Prepare the Carrot and Pea Pilaf at home when you’ve guests or when your kid craves for something different in her lunchbox. Oh, I’m not lying when I say it is easy to make. Cook rice with a little salt. You can use any rice of your choice. Heat oil in a pan and sauté finely sliced onions along with Cumin, cloves, bay leaves and cinnamon sticks. Add fresh peas and finely chopped carrots. Mix well. Cover and cook for about 7mins. Add a teaspoon of garam masala powder and salt. Mix and add to the cooked rice. Mix well and serve hot! Heat oil in a pan. Add Cumin seeds, cinnamon sticks, bayleaf and cloves. When it splutters, add onion. Sauté until cooked and light brown. Add carrots and Peas. Mix, cover and cook for about seven minutes. This will help the veggies to cook well. Add garam masala powder and Sauté for a few seconds. Add to the cooked rice and gently mix with the help of a fork. 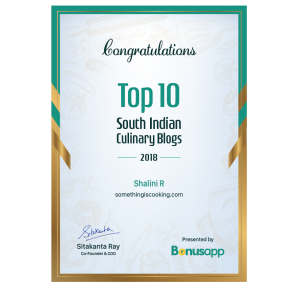 Serve hot with raita or a curry of your choice. Love this one? Pin this for later! Also, try and let me know. Check out other Rice Recipes here. Shalini, my daughter loves peas and carrots. She eats these vegetables daily 🙂 must try your recipe. Thanks for sharing. BTW , Loved meeting you yesterday. Thanks shalz… this is sooper easy.. Perfect for kids tiffin…Could you please include a section in your blog with such easy and healthy kids tiffin recipes???? Absolutely agree about the easy. Varieties of veg rice are my go-to most days. And I love peas rice. Peas are excellent for health, which is a bonus. I make about ten varieties of mixed veg rice, depending on the veg available. Love the photos, Shalini! I find your logo super-cute! 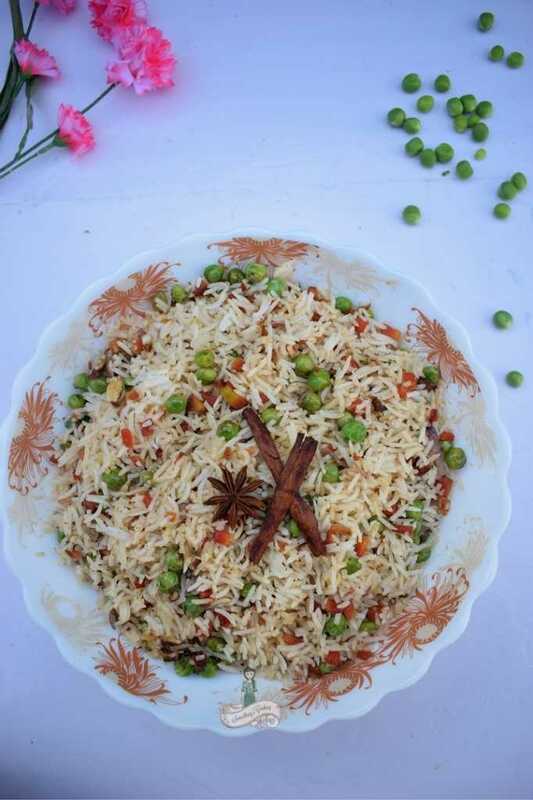 What a delicious and nutritious recipe for vegetable pilaf.Its a favourite at homeWill try your recipe!